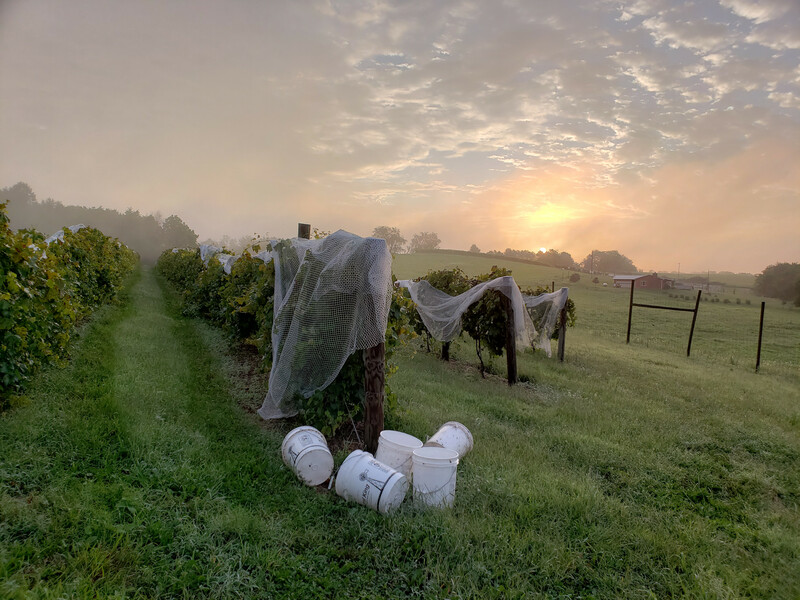 We offer a number of delicious wines made from grapes that are either native to Ohio or picked from vines that have been deemed cold hardy. Many people think of Ohio wines as sweet because, years ago, most Ohio wineries only made sweet wines. Today, both dry and sweet wines from locally grown grapes are now being crafted at many wineries across the state. Our wines are served by the bottle, glass, flight or individual tastings. For tastings, we recommend starting with dry to sweet and white to red. Find something you love? Take a few of your favorite bottles home. Buy a case of 12 and get a 10% discount. On your first visit, it may be challenging to know which wine to order. Every wine has its own flavor and aroma, but we can help you find something similar to your taste or even introduce you to something new. The table of wines below provides a list of all of our wines and wines that are similar or flavors/aromas you may notice. We try to keep sufficient stock of all wines. Some wines may not always be available. We started growing vines in 2006. 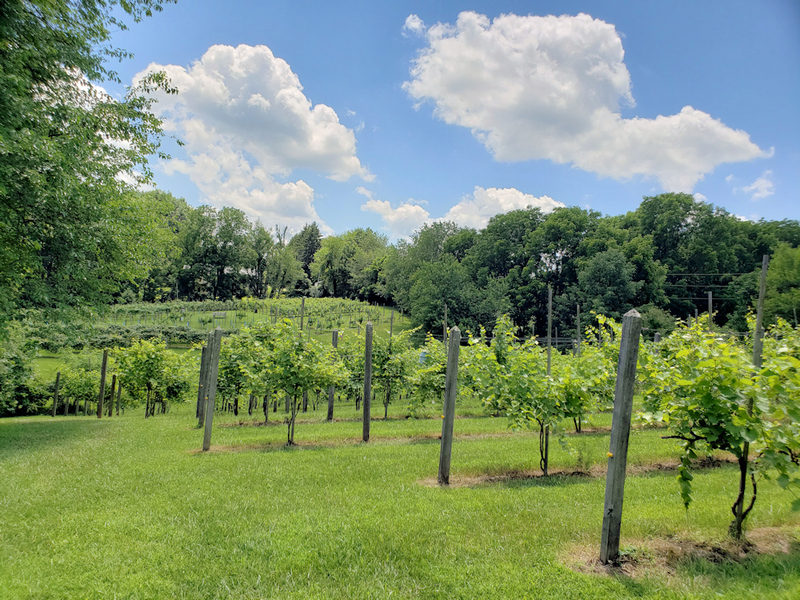 We now have around 800 vines including Catawba, Niagara, Marquette, St. Pepin, St. Croix, Isabella, Concord, Chardonel and Reisling. Our original plan was to grow all of the grapes for our wines. Yet, we quickly found we cannot make enough wine for everyone! So, we were excited to meet Jeanne Oakes. Her vineyard in Dresden, Ohio, supplies us with St. Croix, LaCrescent, Regent and Cabernet Franc grapes. We collaborate with Jeanne on when to harvest and we are there pick the grapes. 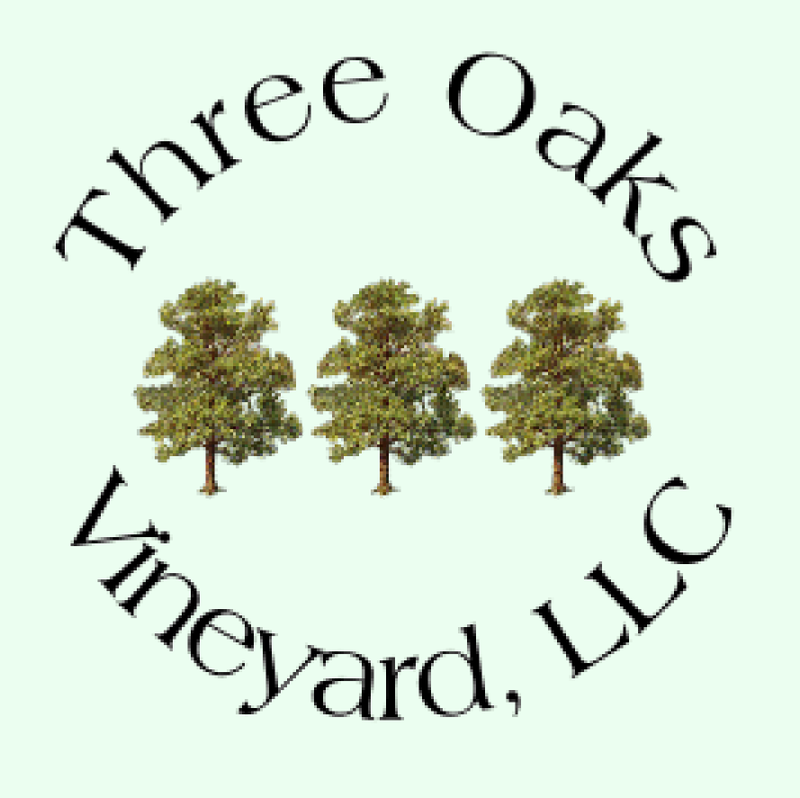 We load them up and bring them to Three Oaks Vineyard on the same day to process them into the tanks.